No matter what business you're in, feature Gimme a Break promotional tickets on your slow days and watch sales pick up fast! A flexible game with total control! 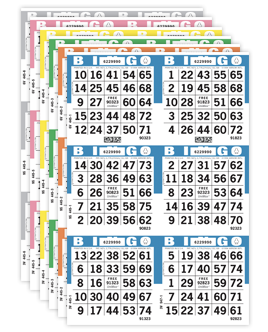 We imprint the Gimme A Break tickets with a 9 character imprint of your choice for no extra charge. 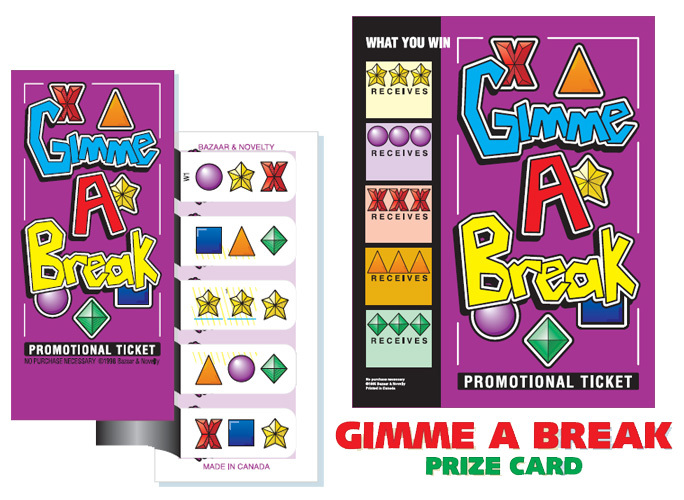 Each box of Gimme A Break tickets purchased comes with a full coloured card to display the prizes for your promotion.